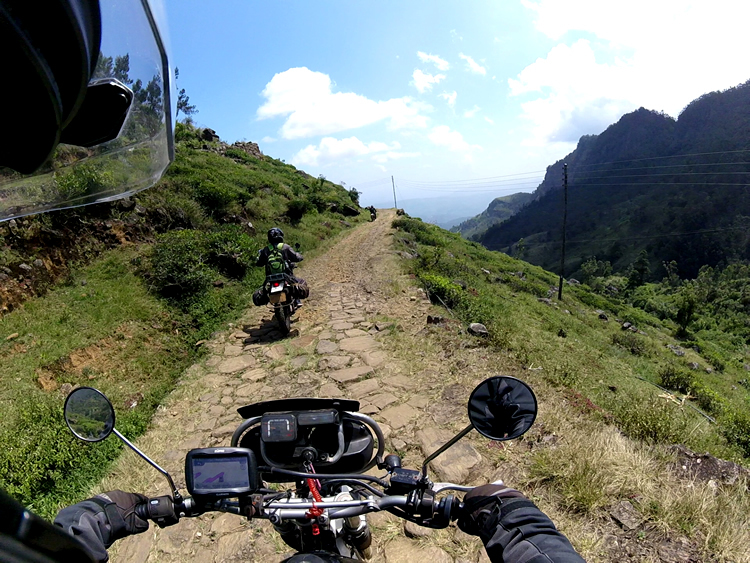 The starting point of this adventurous motorcycle tour is in Colombo/Negombo. 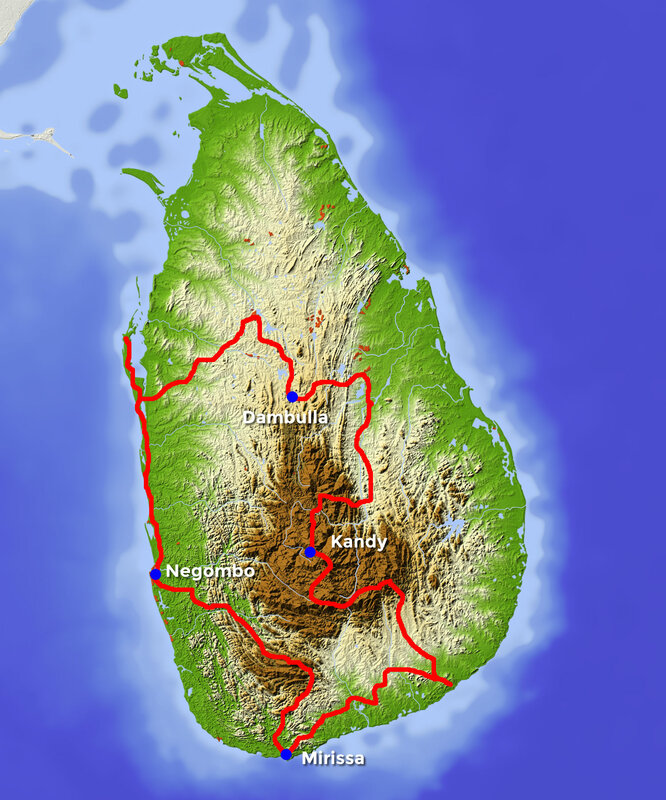 We will drive through central and south Sri Lanka and we will experience the historical Buddhist temples. In the mountains of central Sri Lanka we will ride through famous tea plantations, where we will also experience how picked tea leaves are processed. We will visit different National Parks. On the beaches of West and South Sri Lanka we will relax and enjoy the tropical atmosphere. Evidently we will also visit one of the many wild parks where we can find among others: elephants, leopards, monkeys and crocodiles. Every day will be surprisingly different from the one before. This trip is full of culture, extensive mountains, tropical beaches, an adventurous safari while spotting lots of wildlife, tea plantations, rafting, visiting an elephants sanctuary, a wide variety of accommodation and of course local specialties. We will serach for smaller, more challenging, and as much as possible unpaved roads through magnificent areas far away from tourists.